Heat oven to 350°F (325°F for dark or nonstick pans). Grease or spray bottom and sides of 13x9-inch pan. Make and bake cake as directed on box for 13x9-inch pan. Cool 10 minutes; remove from pan to cooling rack. Cool completely, about 1 hour. 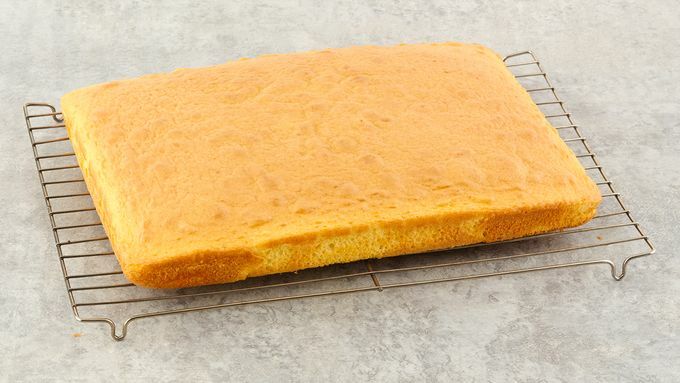 Refrigerate or freeze cake 1 hour or until firm. In small bowl, mix 1 container frosting with food color to make desired color for sides of flip-flops. Reserve 1/3 cup frosting from second container. In small bowl, stir second food color into 1 cup of the remaining frosting to make desired color for top of flip-flops. Using serrated knife, cut rounded top off cake to level surface; place cut side down. 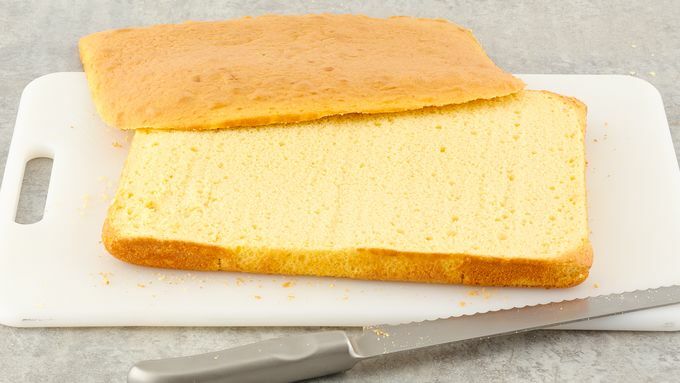 Cut cake lengthwise in half. Continue cutting each piece to form flip-flop shape as shown in diagram (template can be found under the Tips below). Place pieces on tray. 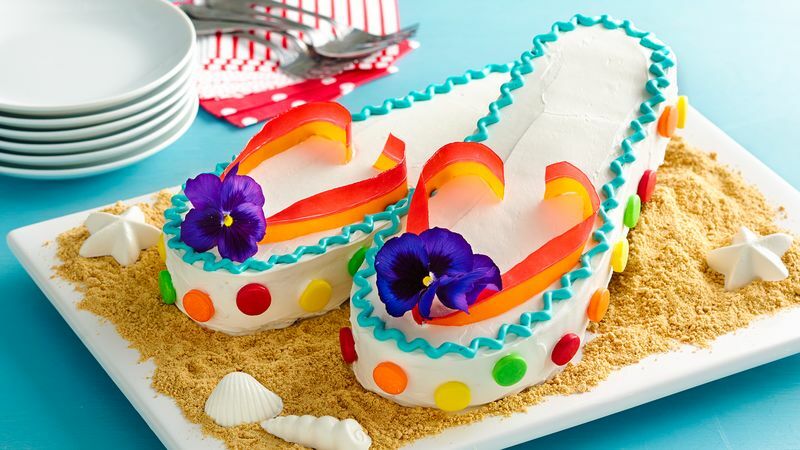 Spread a thin layer of frosting for "sides" over each entire flip-flop to seal in crumbs. Refrigerate or freeze cake 30 to 60 minutes to set frosting. Frost sides of flip-flops with the same remaining frosting. Frost tops of flip-flops with second color frosting. Tint remaining 1/3 cup frosting with food color. 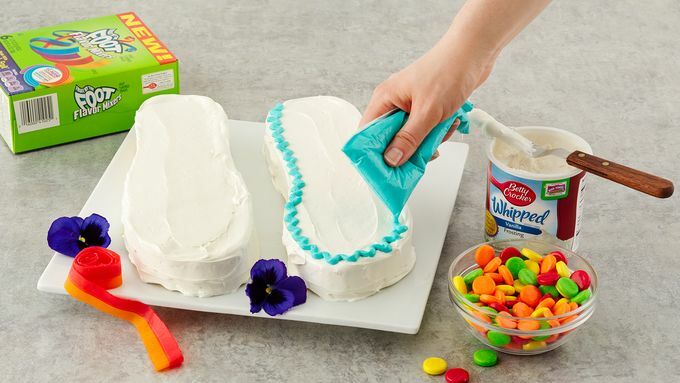 To pipe frosting around top edge of flip-flops, spoon tinted frosting into small resealable food-storage plastic freezer bag and cut small tip off 1 bottom corner of bag. Pipe zigzag design. Place small candies around side edge of each flip-flop to look like jewels. Cut two 6-inch pieces from fruit roll; cut pieces lengthwise in half. Arrange on flip-flops for straps. Just before serving, top with flowers. Store loosely covered. You can use paste food color to get more intense colors without diluting the frosting.